Accepted file types: pdf, dxf, dwg, stp, step, igs, iges, tiff, jpg, png, easm, jpeg, gif, tif. We are happy to provide you with a professional and complete quote. When you fill in the form to the right we will contact you as soon as possible. You can leave the fields for company name, heatsink, number and length open. If you already have a technical drawing you can upload it to add it to your quote request. You can also call us at +31 (0)20 6370560 or email us at info@deltour.biz. 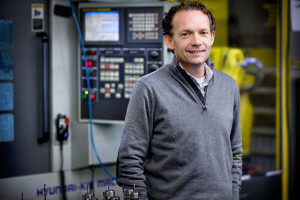 Otto Staleman, managing director of Deltour Heatsinks and Precision Manufactoring.